This volume considers the task of changing society's assumptions about women, analyses ways to challenge our culture's tradition, and explores ways in which we can live together in the modern world. A variety of issues, from reproduction to war, are discussed from an array of perspectives, including womanist and ecofeminist. 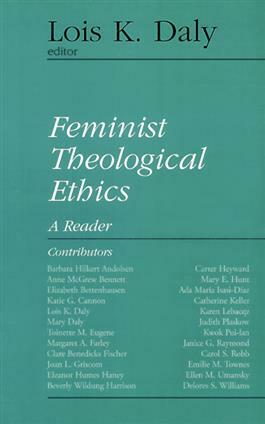 The book is ideal for feminist theology and feminist ethics classes, and is sure to become an instant classic.